Most artists rely on their imagination to generate fresh creative concepts. But for times when the right side of the brain fails to furnish a thought worth reproducing, seeking outside influence is a time-honored way to get synapses firing. 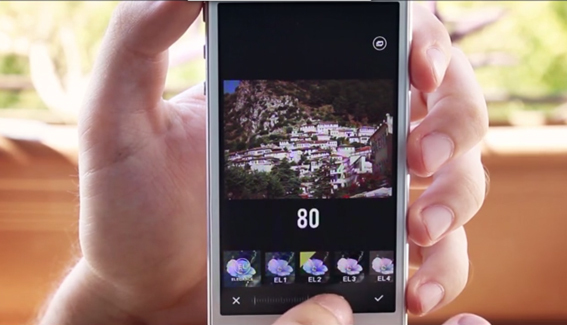 Creatic, a free iPhone app from DeliX Software, mixes several familiar shooting and editing formulas into a different kind of creative environment. You start by shooting your image with the app’s tools, such as a timer and Rule of Thirds grid — but no zoom function — and perk up the result with some extremely beautiful and sophisticated effects and textures. Photo fixes within the app cover fairly extensive ground, including sharpness, temperature, shadows, gamma, hue, saturation, exposure, contrast, brightness and more. What comes next is where Creatic diverges further from the artistic pack. Your image is not just saved to share with family and friends — though you can certainly use Creatic for traditional posting to Facebook, Twitter, Instagram, email and saving to the Camera Roll — it is transformed into a workspace, a platform upon which you both share the image with the Creatic community and incorporate others’ special effects formulas into your own creation. Crowdsharing art online is hardly a new concept. 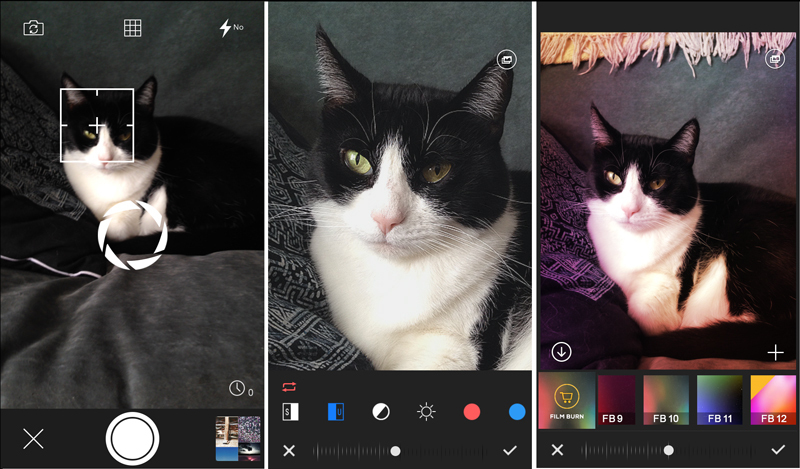 Mela, an iPhone social video app, uses hashtags to whip up videos into unique mixes. Similarly, Avos’ Mixbit and Vimeo-owned Cameo, also integrate other people’s videos to tell a unique story. In this case, you are not actually using the photo from the Creatic community, but incorporating the characteristics that make that photo look appealing, and mixing them into your own creation for a unique look. 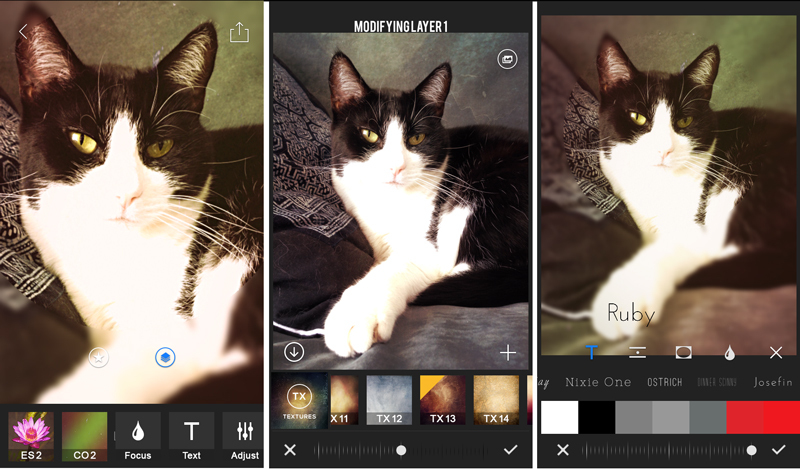 I was impressed with the app’s built-in lineup of customizable effects: Creatic includes more than 120 top-notch textures and filters. These include effects, light leaks, lens flares, gradients and color overlays. With 10 blending modes, new layers can create an infinite number of unique looks. You can superimpose photos to create image overlays, add vignettes and text, use a Blur Tool to fade part of a texture while retaining its color, use linear and radial tilt-shift blurs for extra depth of field and more. Note that you can only composite your own photos from your own library; you can’t superimpose a community photo into your own work. You can rotate, change opacity, hide, move or delete any of the image’s layers, which are created automatically when you add new effects. A tiny button on the image lets you toggle between the original and the current version. Once you have a combination you like, you can save it as a favorite and the apply it to any other image you shoot or pull in from your camera roll. When you’re done, save the workspace as a Creation in the Favorites category and, if you choose, upload it so others in the community can view or use it. While the app emphasizes community creativity, not everyone is inspired to incorporate other people’s preset combinations into their own work. But with Creatic, the choice is yours. One issue I encountered with Creatic is that once you start trying to use the more complex compositing features, the app’s operation becomes less intuitive, especially since none of the controls are labeled and there’s no built-in help to guide you through the concepts. Shortly after the app was released, Creatic uploaded three instructional videos to walk people through the basic processes. I suggest investing the time to view the sort Favorites, Social and Superimpose videos to quickly get a full sense of the app’s capabilities. Creatic is free on the App Store.